Nutrition - Evergreen Wellness - Dr. Peter Yam N.D.
Clinical nutrition refers to the modification of the diet in regards to an understanding of the relationship between the food we consume and the state of health within the body. Clinical nutrition examines how nutrients in food are broken down and utilized, including how useful nutrients are absorbed and stored and unnecessary or toxic by-products are eliminated. A poor diet can influence disease progression and cause the systems of the body to not run optimally or efficiently. A customized nutrition plan can instead promote health and vitality by ensuring all the cells that make up the body have access to the resources needed. The vast majority of illness can be traced to an origin of either a deficiency of nutrients required for proper functions of the systems of the body or the build up of toxic substances failing to be eliminated. The recommended diet plans given out to patients here at Evergreen Wellness will, ultimately, focus on the most efficient way for each individual to achieve the absorption and utilization of lacking nutrients, as well as the elimination and removal of harmful substances. Often times we will find that the health issues that a patient has is not necessarily due to the actual foods that they consume, but rather the ways in which they consume them. The regularity in which we consume food can impact our health greatly, such as eating late at night or not eating for extended periods of time. Even the order in which we consume foods can have an impact on our ability to breakdown, absorb and eliminate these foods. At Evergreen Wellness the dietary habits of each patient is closely examined to determine if their dietary habits are aligned with their optimal health. Food sensitivities or food intolerances are more common than many people think. Unlike food allergies, which involve the immune system, food sensitivities involve the digestive system. Intolerances, generally occur due to a result of an absence or inadequate amount of an enzyme required to fully digest that particular food. Often, an elimination diet is needed to determine food intolerances. This is where suspected food sensitivities are eliminated from the diet and then re-introduced after a certain amount of time has passed. Although this method of sensitivity identification is effective it is a long process and particularly difficult if a person has many food intolerances. At Evergreen Wellness we have the ability to test for food sensitivities and therefore are able to immediately figure out which foods are contributing to a patient's health issues. This information can then be utilized to help formulate the ideal dietary recommendations. Both, ancient Chinese and ancient Greek doctors believed that a large number of ailments and illnesses originated due to an imbalance in the stomach and digestive tract. Although this concept has long been rejected by modern medicine, the latest research is showing that this line of thinking is actually scientifically valid and may even be more prevalent than thought by the ancients. Inside of the digestive tract there is a lining which acts as a barrier controlling what gets absorbed into the bloodstream. A damaged digestive tract may have permeations in this barrier allowing for partially digested food, toxins and harmful microorganisms to enter into the circulatory system. This digestive tract permeability, also known as "leaky gut" may also disrupt the absorption of beneficial nutrients. If an individual in fact does have leaky gut, it must first be addressed before any nutritional recommendations will be able to have maximum benefit to their health. At Evergreen Wellness, through testing, particularly the live blood analysis, we are able to quickly determine if healing the digestive tract is the first step necessary on the path to a patient's optimal health. Ideally every nutrient the body requires would come solely from dietary intake of foods. Unfortunately, in this day and age that is no longer a realistic possibility. This is the reason why supplements are often added to a patient's protocol. The benefits of supplementations are numerous, including, ensuring the purity of the nutrient, specifically targeting a deficiency or benefit required for a patient and the ability to regulate the amount consumed. 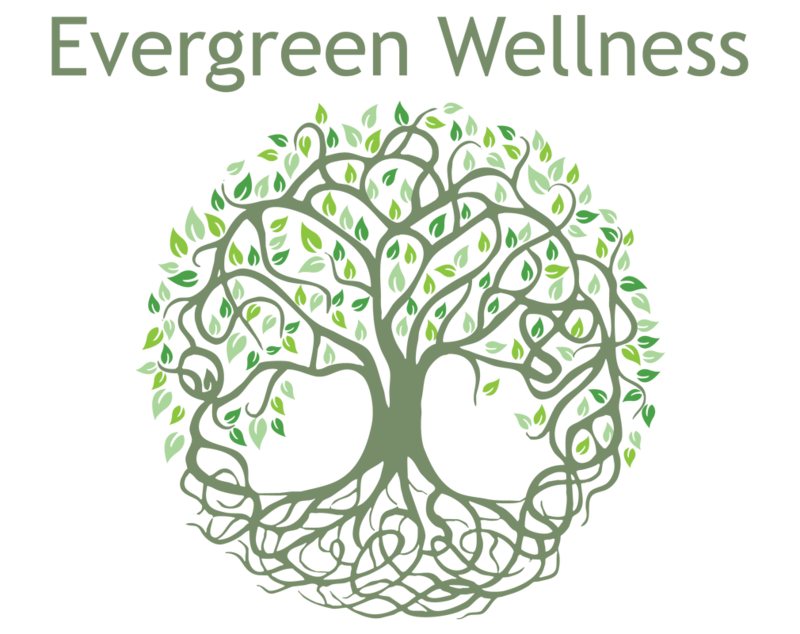 At Evergreen Wellness we thoroughly research the herbs, tinctures, supplements and their manufacturers that we recommend. For this reason our patients can be assured that they are receiving the best quality and optimal dosages to ensure success on their healing journey.